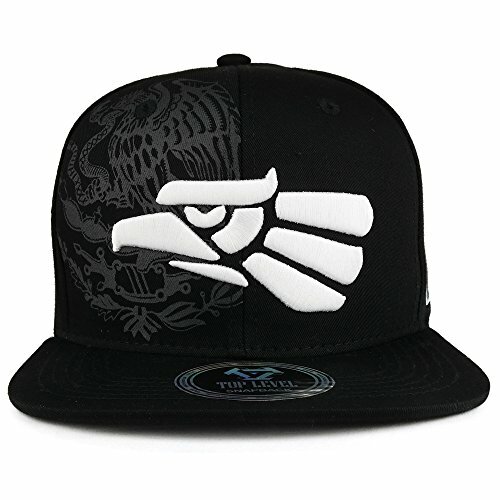 Our durable and stylish Hecho En Mexico Eagle 3D Embroidered Flat Bill Snapback Cap comes in variety of colors. This flat bill snapback cap is great for representing Mexican culture. This hat goes great with any outfit and will show off your new style. Made of 100% Cotton. Stiff and flat bill. Constructed front crown. 6 ventilation eyelets. Fitted with an adjustable plastic snap closure. One size fits most.